Often when testing a different connection to the network is required. Most commonly this is a Krone connector or RJ plug. Using this lead set you can convert your buttinski from being just a clip lead tool and have the convenience of being able to access Krone and RJ sockets directly from your test phone without needing adaptors. 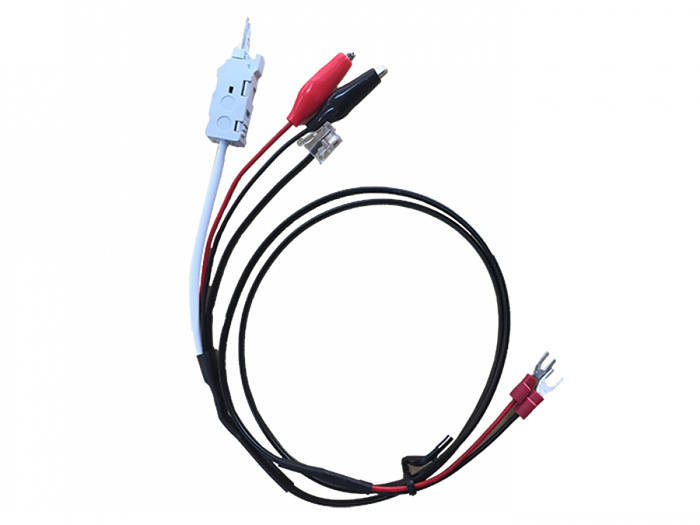 This test lead is suited for buttinskis with a screw mounted lead set.